FanDuel began as a daily fantasy sports site, but is transitioning to traditional sports betting. FanDuel is refusing to pay more than $138,000 on a live in/play bet in the New Jersey online sports betting niche. FanDuel claims a glitch happened during a game between the Denver Broncos and Oakland Raiders which caused a massive potential payout for players. With 1:10 left in the game between the Denver and Oakland and the Broncos down 19-17, a bet was posted that gave the Broncos a 75,000:1 odds on the Broncos pulling out the game. When Brandon McManus kicked a field goal to put the Broncos ahead 20-19 with a few seconds left, FanDuel appeared to be on the hook for some major payouts. Later, claiming that an 18-second glitch caused the one-sided odds, FanDuel director of publicity Kevin Hennessy said the company had capped how much it would pay to winner. Several winners have complained to the Division of Gaming Enforcement, because they believe FanDuel and the Meadowlands sportsbook should honor their gambling debts. With little hope of receiving help from New Jersey’s gaming regulators, they also complained to News 12 reporters. The FanDuel spokesman said an erroneus wager was posted after the play with that put the ball inside the Raiders’ 20-yard line. Hennessy claimed it was obvious to anyone following the game’s live bets that the new odds were erroneus. At least three players came forward to collect payouts on the 75,000:1 odds, but were refused by the tellers. Anthony Prince told New 12 in East Rutherford that he went to the Meadowlands to collect a $82,610 on his initial $100 bet and was refused by the teller. Instead, the Meadowlands management offered Prince $500 plus skybox seats to three separate New York Giants games this season. Anthony Prince refused the offer and said he would complain to the New Jersey Division of Gaming Enforcement. Mike Guerriero and Chris Calcano, two friends who also made the big bet, had a similar story. After making the big wager, Guerriero and Calcano had $56,325 in their account after making the 75,000:1 wager. On Monday, they realized their $56k had been taken away and all that remained was a tiny payout. The glitch caused a lot of bad press for FanDuel on the 2nd weekend of regular season NFL football. For instance, Ben Rohrbach of Yahoo Sports suggested FanDuel should pay for its mistakes and asked whether the DFS company had been so quick to pay back money for glitches which had worked in its favor. According to News 12, the Division of Gaming Enforcement is looking into the case. If past cases are correct, gaming operators tend to get the benefit of the doubt in New Jersey. As the Phil Ivey case versus Borgata showed, casinos are allowed to benefit from cases in which they have a big statistical advantage over bettors. When the circumstances temporarily change to benefit the bettors, New Jersey casinos do not have to honor those bets. Atlantic City casinos and New Jersey racetracks are major taxpayers to the state government. New Jersey politicians have spent decades building up the gaming industry. They protect those interests with gaming laws, treating the casinos and racetracks as local businesses which need to be protected. Anthony Prince, Mike Guerriero, and Chris Calcano can expect to see their concerns turned away by the DGE. It might be bad publicity for Meadowlands Racetrack’s sportsbook and for FanDuel’s sports betting app, but they won’t set the precedent that glitches are paid off. Such rulings would hurt FanDuel’s bottom line, thus hurting the state treasury’s bottom line. On Thursday, September 20th, FanDuel reversed course and agreed to the pay the gamblers, despite their betting app having a glitch. 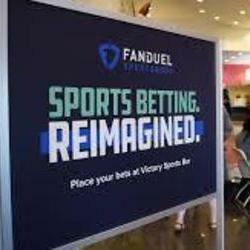 While FanDuel likely would have won any court case involving New Jersey state gambling laws, they would have lost the case in the court of public opinion. Already, FanDuel had been lambasted for its failure to pay. Gamblers naturally would have had to pay if they made a mistake, so they do not understand when gaming operators do not have to do the same. A court case might have incurred legal fees commensurate with the lost $130,000+ in bets, so FanDuel may come out ahead on the financial front, as well. Whatever the case, it was worth paying a few disgruntled gamblers to make the bad press go away.